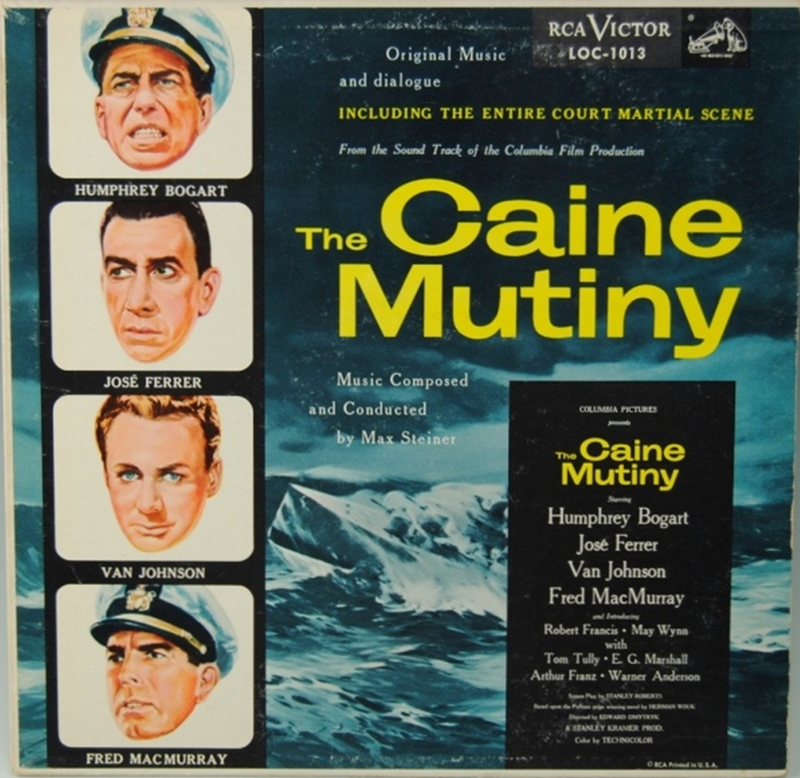 The original soundtrack album for The Caine Mutiny was never officially released, and is very rare. Perhaps a dozen copies survive. RCA Records planned an LP release with musical excerpts on the first side and the complete dialogue of the climactic court-martial scene on side two.